OnLive has announced two new services that bolster and revamp its existing game streaming offering – and OnLive general manager Bruce Grove says developers stand to benefit the most. The new CloudLift subscription enables gamers to play any compatible digital games they own on other platforms such as low-end laptops, tablets and Smart TVs. Meanwhile, OnLive Go enables MMO devs to offer instant access to consumers without the need for lengthy downloads. And OnLive is keen to highlight the benefits of both. 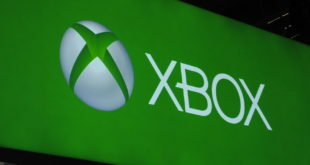 "For developers, the key is extending the reach of the games and giving simple access to more platforms," Grove told Develop. 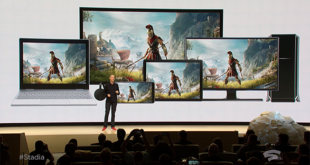 "If we take a PC game as an example, we can put the game on to OnLive and it’s now available across Mac and Android devices as well. That doesn’t mean you won’t want to do a port to those platforms if they can support it, but it can make it available faster. "With the OnLive Go model it can get people engaged with the game before they’ve downloaded, multi-gigabyte games are common now but still take time. This gives a way for the player to start through the character creation, play the intro before it’s even installed, and in turn this should reduce breakage of people never even getting as far as trying the actual game. "From a development standpoint, that means there’s no extra work. We take the executable of the game you’ve already developed and put it on OnLive, we extend the reach and mobility of the platforms you already develop for. You also get the added features such as spectating and Brag Clips essentially for free." A wide range of developers and publishers are already on board with both CloudLift and OnLive Go, with partners ranging from larger firms such as Warner Bros, Deep Silver and Codemasters to smaller and independent devs such as Strike Suit Zero creator Born Ready Games and mobile studio Gaijin Entertainment – and Grove says more partner announcements will follow soon. There’s no extra work. We take the executable of the game you’ve already developed and put it on OnLive, extending the reach and mobility of the platforms you already develop for. The general manager says it’s vital for OnLive to attract this broad a range of studios: "We already have quite the mix and we’re keen to maintain that. The easier it is to put content on to OnLive, the more incentive there is for everyone. We’ve had a history of supporting indies and large publishers alike and we plan to maintain that going forward increasing the opportunities." OnLive is also using the new services to reach out to developers that might not be signed up to or even aware of its services. The key, says Grove, is to break the radio silence that OnLive has purposefully imposed over the last 18 months. "First off we’re letting everyone know about the changes we’ve been working on for the last year," he says. "We’ve already been reaching out to publishers and developers alike to let them know, and as we go public with the new models and technology we expect more people to want to bring their games to the service – and we’re keen to add content. "We’re also going to be attending and speaking at numerous events not just to talk about OnLive but to talk about the evolution of cloud gaming and how much has changed over the last few years. We are also attending GDC – find us in the North Hall, booth BMR2636 – and extending an invite to any developers who would like to some see us."